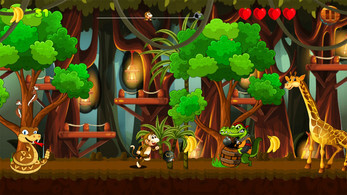 Jungle Monkey Run 2 : Banana Adventure is a free 2D Adventure run. 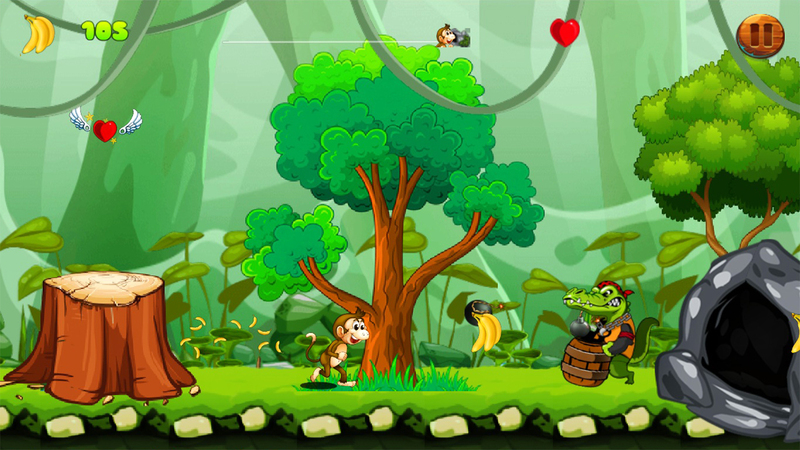 It is the second part of our top platformer game "Jungle Monkey Run" that crossed 1 million downloads in Google Play. 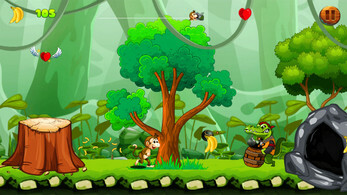 The story begins as a Monkey Kong was living in a jungle happily with its kids having plenty of bananas. One day an angry bird takes our monkey Kong’s kid with a bunch of bananas and flies to the dino jungle. 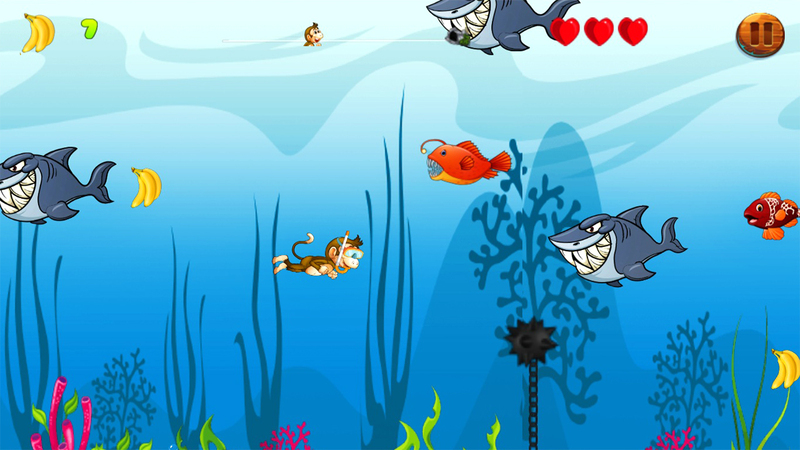 This game consists of 4 worlds with 24 stages that contain plot twists and continued by 1 special water world including lots of fishes and mines under water. All together Jungle Monkey Run 2 : Banana Adventure, make the best game of the month. 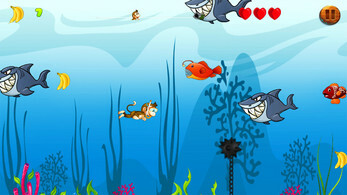 Additionally, powerups and the effects make the gameplay exciting and addictive. There are 80 enemy animals which will try to block our little Kong' s run. Our little monkey has to jump on the animals to kill them. There will be a King Kong and a mammoth waiting to help our monkey's adventure trip. 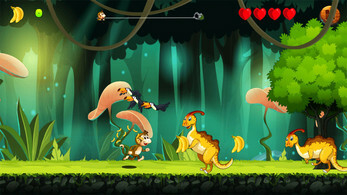 One touch gameplay makes this adventure run easy to play even for kids. We have incorporated the best graphics and sounds to make this platformer run gameplay awesome. 1. One touch gameplay suitable for all including kids. 2. Includes Run, Jump, and Swing. 3. Have 4 worlds with 24 stages [jungle, dino, ocean, fantasy]. 4. Have 80 enemies and banana to get energy. 5. Have 4 background music and different sounds for enemies. 7. Have perfectly designed ocean world with 20 different fishes. And enjoy this jungle monkey adventure! !